From a multi-headed beast symbolizing the French aristocracy during the Revolution to a sinister octopus signifying American capitalism, these posters and pictures offer a fascinating look at how monsters have been used to represent political and economic ideas and systems over the years, usually by the sides that oppose them. 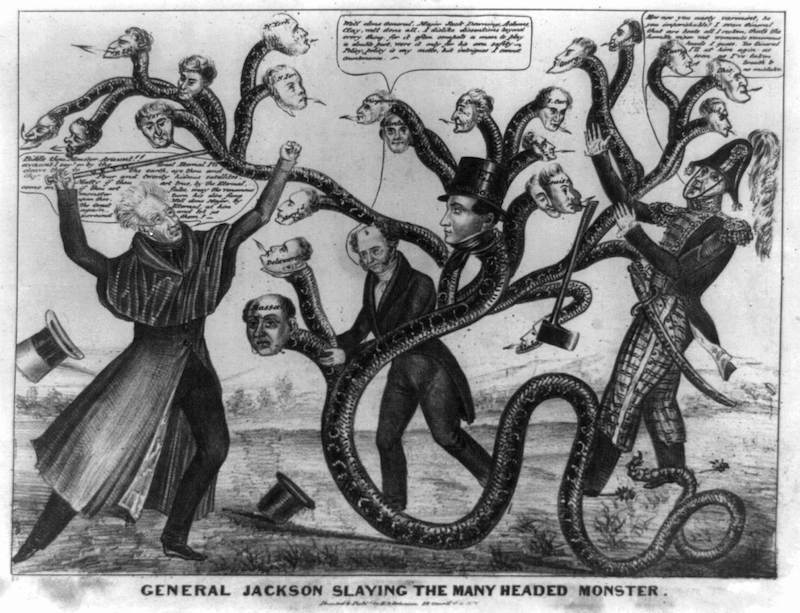 This shows former US president Andrew Jackson fighting a many headed monster which represents the states of the Union. 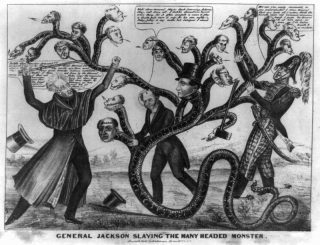 Jackson wanted to destroy the Second Bank of the United States but most of the states supported it. He thought it was a corrupt institution that put wealth in the hands of the few. Jackson won in the end and the bank was liquidated in 1841. 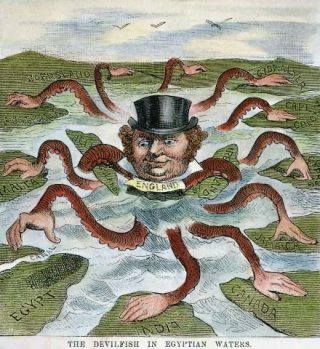 This American cartoon shows British imperialism as an octopus with its tentacles reaching all round the world. England is called a 'devilfish' and its next target is Egypt, which it occupied from 1882 until its final withdrawal in 1956. 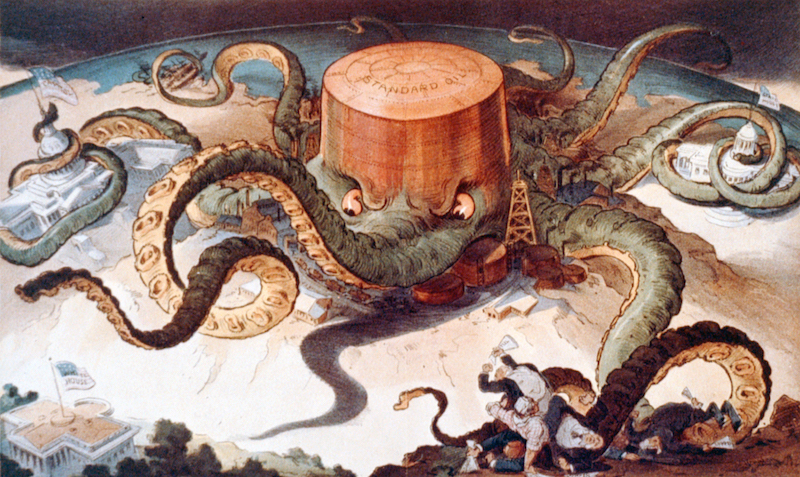 This cartoon is from 1904 and shows the Standard Oil company as yet another octopus. These kind of images were common in the late 19th century during a time when corporations were becoming all powerful. 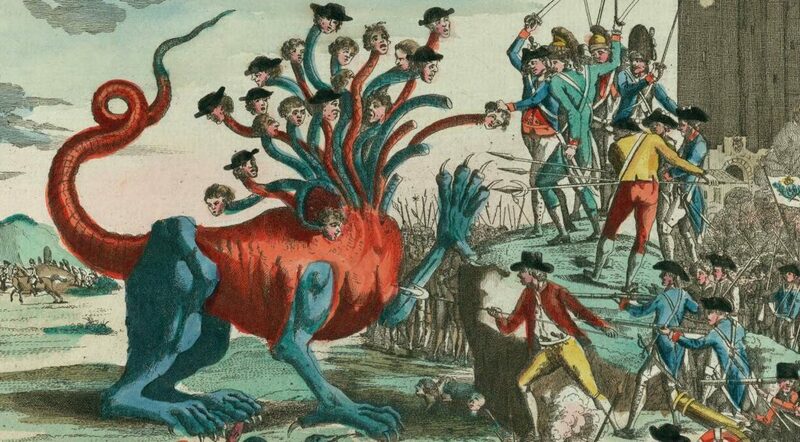 So powerful in fact that their 'tentacles' reached right into public and private life. 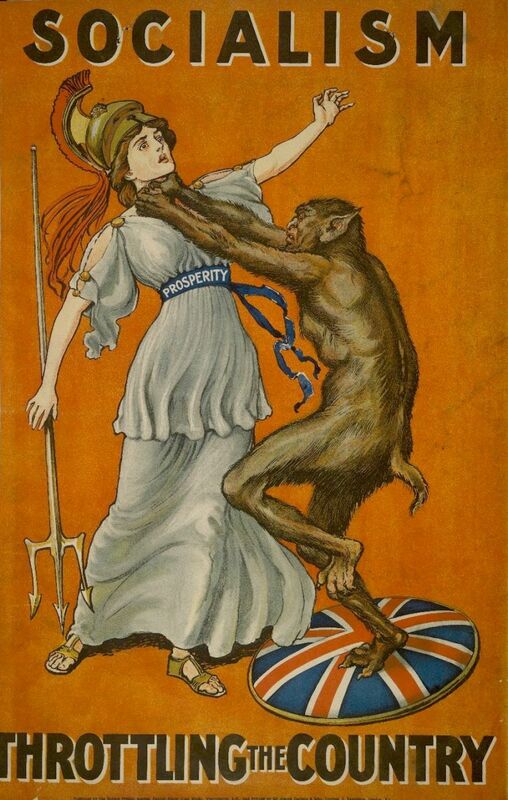 This Tory party poster from 1909 shows the 'beast' of socialism throttling the figure of Britannia. You'll notice her belt says 'prosperity'. The idea is that this particular political system would stifle free trade, capitalism and economic growth. Socialists would obviously disagree. 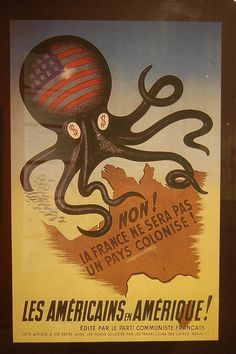 This Second World War poster depicts the axis powers (Germany and Japan) as a vicious two-headed monster threatening the liberty of the US. 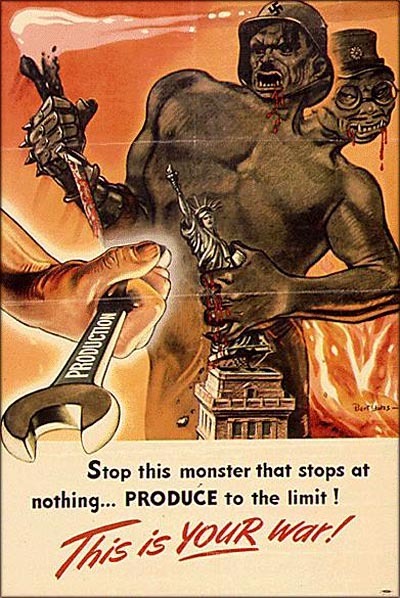 It stresses the need for the people of America to keep up economic production in an effort to win the war. 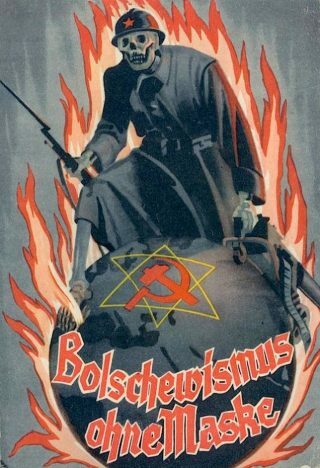 An early 20th century political movement in Russia, the Bolsheviks believed in the violent overthrow of state capitalism. For many people across the political spectrum this was an idea that would only lead to destruction and a loss of economic security. In this poster, the Bolsheviks are shown as a marauding skeleton, setting the world on fire. Another octopus. In this poster by the French Socialist Party, it's representing American capitalism, which is seen 'colonizing' society. Its eyes are represented by dollar signs to suggest the US's supposed obsession with money, greed and materialism. A more modern take on the anti-capitalist theme, this cartoon shows different forms of capitalism in the form of the alien creature from the 1979 film Alien.